We have revolutionized our Catalog creating an interactive digital and multimedial version where you can discover your own tastes. 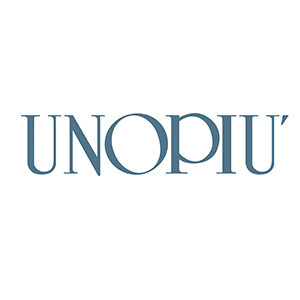 This is a totally new form of navigation through links, icons, pop ups and “yet another idea” where you can immerse yourself in numerous, innovative Italian style atmospheres, all signed Unopiù. One of Unopiu's greatest strongpoints is its wonderfully wide range of outdoor furnishings. The collection maintains the artisanal style whilst constantly evolving with new shapes and materials. Every day we write pages that speak of excellence, care, attention to detail and refinement, and we do so anticipating trends, reinventing style and experimenting with beauty. We have been doing so since 1978.